1. Knowing what you want and knowing how you want to live are different (and not equal) concepts. In my 20s, I felt guilty for not having any major career goals. It took me 30 years to realize that the how is more important than the what. No matter what I do during my life, if I strive to keep learning, smile often, work hard, and be compassionate and thoughtful, I’ll always be on the right path (cue the forest animals singing together in sweet harmony). 2. Wearing lots of sunscreen in your twenties pays off when you’re 30. It just does. 3. Mostly, being 30 feels awesome. You can look back at the decisions you made when you were 21 (which seemed like great ones at the time) and know that you’d make entirely different ones now. You’re smarter, you have more confidence and frankly, you’re just a little more tired. 4. Your friends will be in every possible stage of life. Some will be traveling the world with backpacks. Some will be pregnant. Some will have multiple children and will be the best parents ever. Some will be exhausted. Some will be vice presidents and CEOs of the successful businesses they started. Some will be starting over. Some will long for the good old days. Some will own houses and cabins. Some will still panic at the thought of committing to one place or one person. Some will be engaged. Some will be divorced. And some will be just starting to feel comfortable in their own skin. It’s amazing. I’m looking forward to the rest of the year. 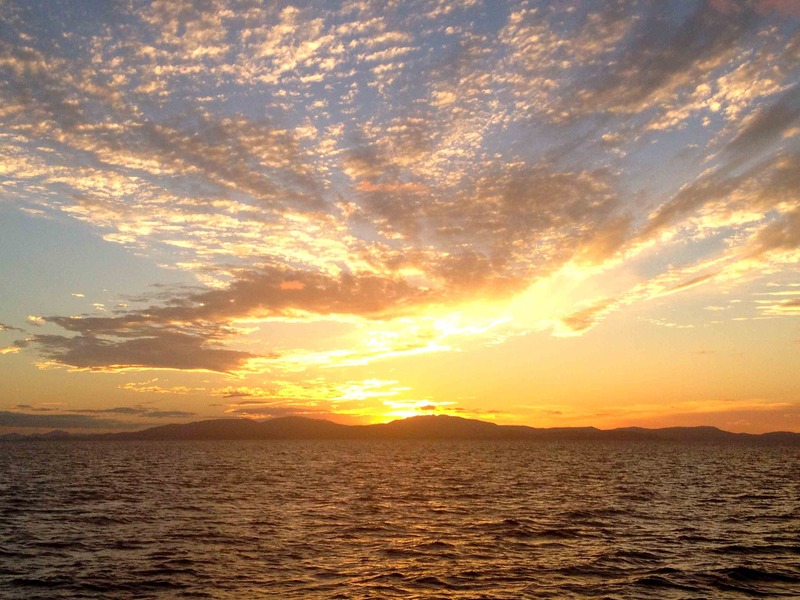 This is how I recommend contemplating turning 30: during a beautiful sunset while on a sailboat in Australia. Amazing… Just amazing. So many hugs for you. I miss you!